Enjoy the best inspirational, motivational, positive, funny and famous quotes by April Sims. Use words and picture quotations to push forward and inspire you keep going in life! 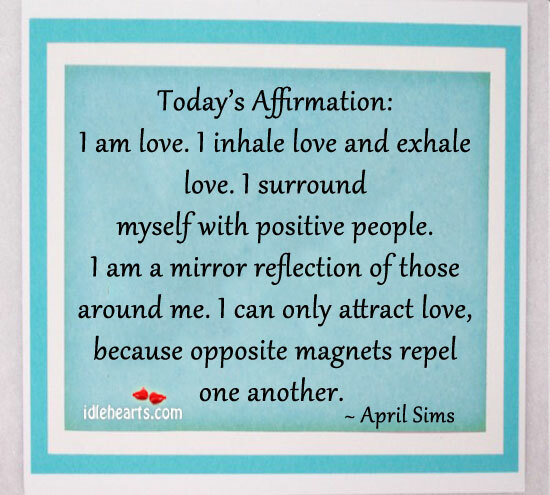 Today’s Affirmation: I am love. I inhale love and exhale love. I surround myself with positive people. I am a mirror reflection of those around me. I can only attract love, because opposite magnets repel one another. 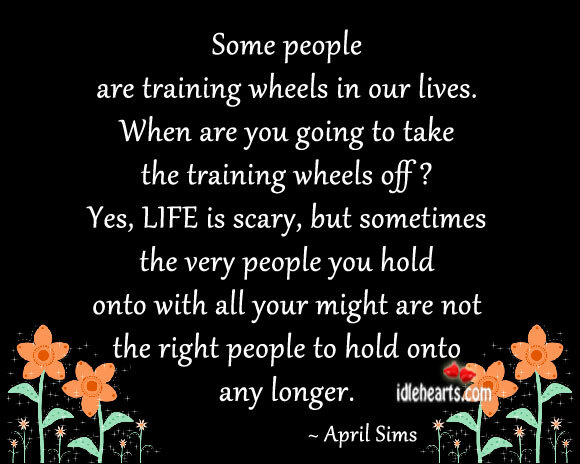 Some people are training wheels in our lives. When are you going to take the training wheels off? Yes, LIFE is scary, but sometimes the very people you hold onto with all your might are not the right people to hold onto any longer.